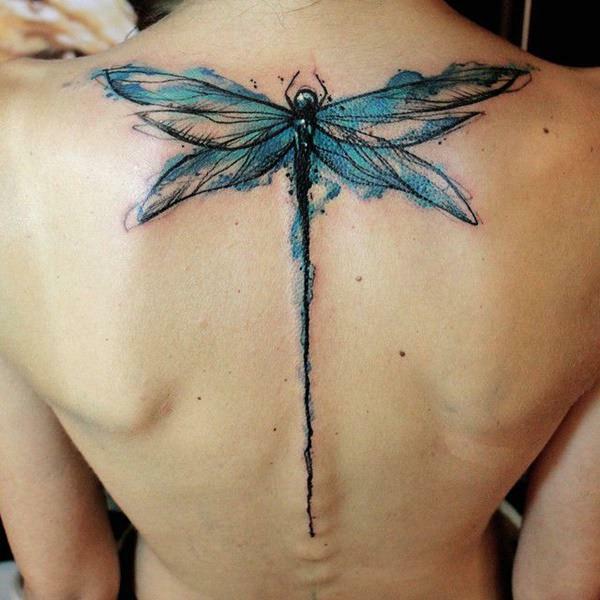 150 Sublime Dragonfly Tattoos Ideas For You! 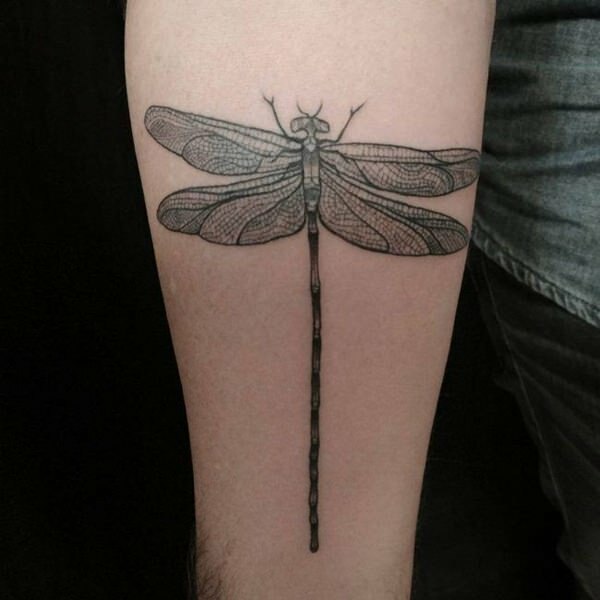 Dragon fly tattoo comes to the second place when we talk about getting an insect tattooed. The first one is always a Butterfly. 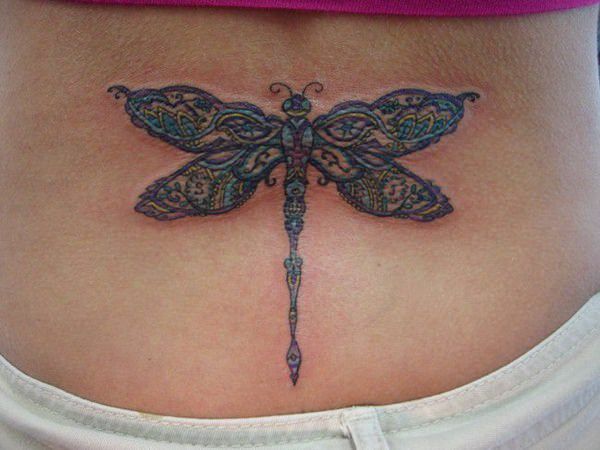 Some other insects like moth and lady bugs are also popular among inking but Dragonfly are somewhere at the top. 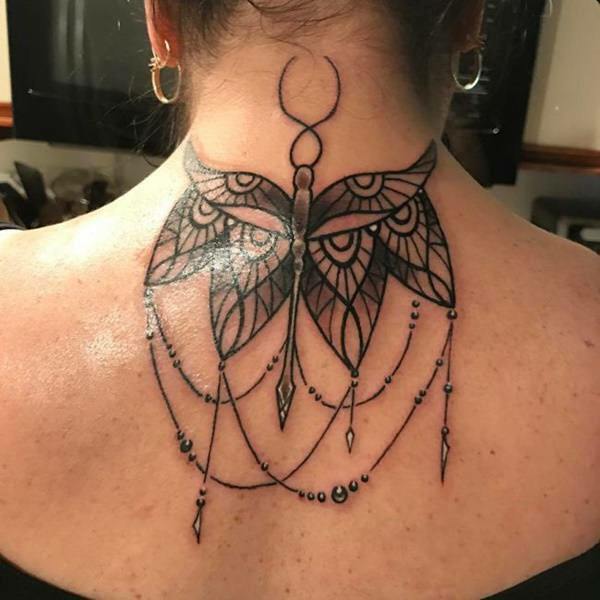 Because of its appropriate size, beautiful colors, wings, beauty, big eyes, and meaning behind the existence, it is going popular among tattoos. Dragonfly is one of the insects that belongs to the group Anisoptera. The word Anisoptera comes from a Greek word which means unequal. The unequal in the sense the wings are unequal. The hind wing is comparatively broader than the fore wing. The adult dragonflies have large eyes and strong pair of wings. The beauty of colored wings is remarkable. The transparent wing also has a huge strength. Though strong it is, but is light also. These wings allow them to flutter and fly high. Dragon fly is a predator known specially as naiads. It can fly for so long that it can even cross the ocean. It mostly likes to spend its life above water. While the Dragonflies mate, they form a heart shape which also has increased its popularity among lovers. In this century, the life of Dragonfly seems to be threatened. The population of the Dragonflies is decreasing. The reason behind it can be climate change. Some countries like China & Japan kill it for medicine and in Indonesia it is caught for food. 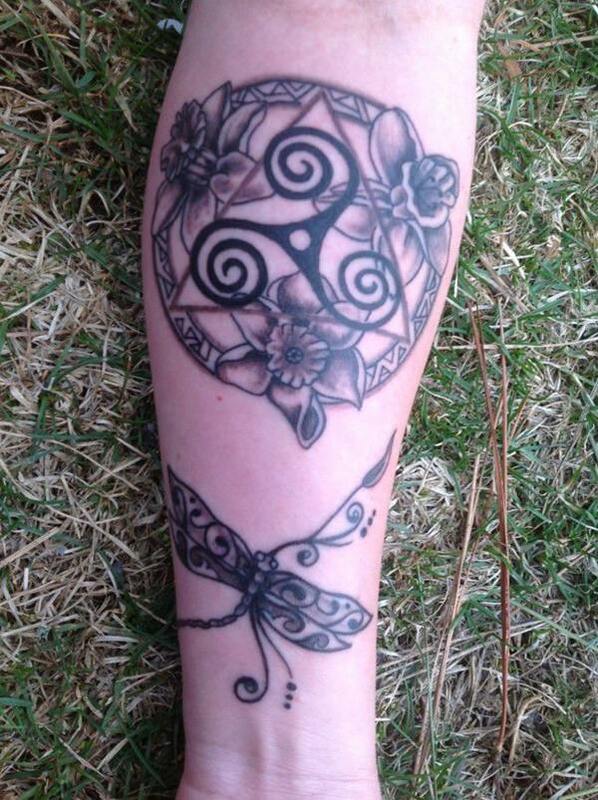 Dragonfly represents courage, strength, and symbolize happiness in Japan and some other Asian countries. But in European folklore they are also seen as sinister. They are mostly used in poetry as an admiration, beauty, strength and colors. Dragonfly can fly at a speed of 97 kilometers in an hour time. It can fly in six directions, namely upward, downward, right, left, forward and backward. This is the most magnificent feature of dragonfly. Despite being so small it can go across the sea and can change direction anytime. This fascinates everyone. 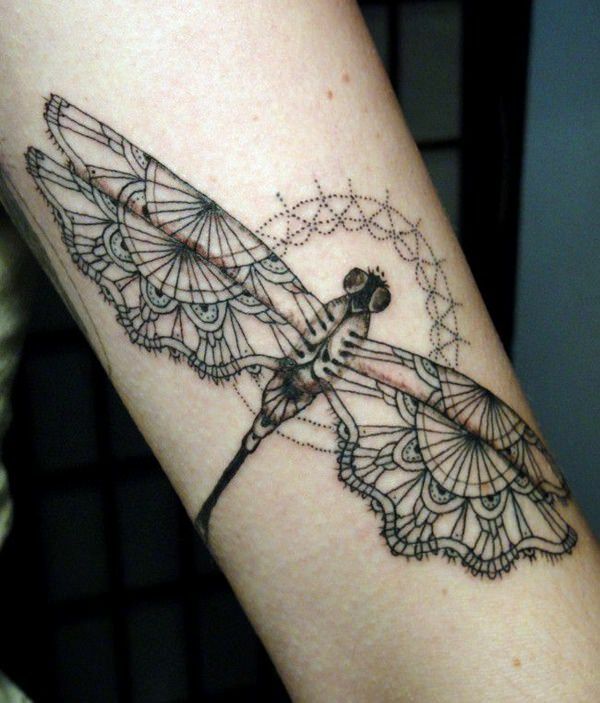 Choosing a dragonfly as a tattoo means you are already crossing the phase of innocence. This also indicates that you are more matured now and have all the positive forces. It also means you wish for luck. 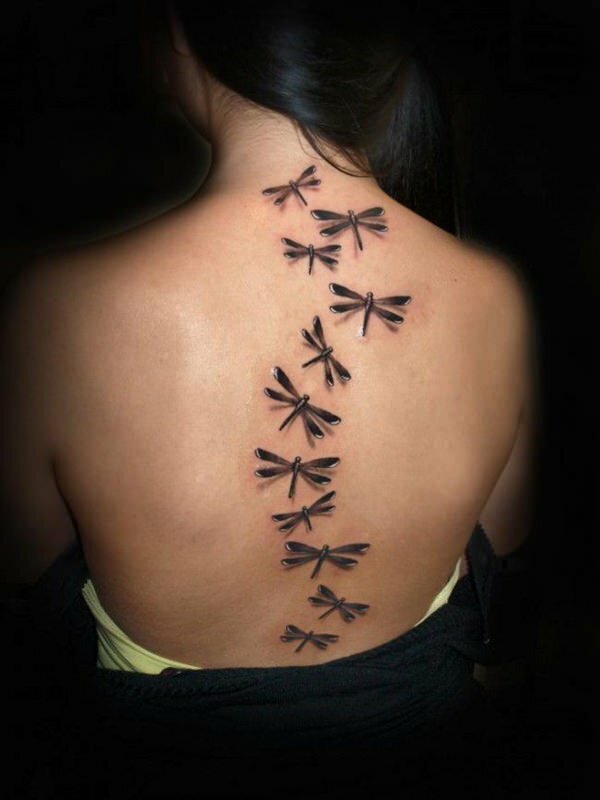 The meaning behind inking a dragonfly is also to receive all the luck. The luck that will bring the good fortune, positiveness, peace, purity, strength, and harmony. Because a dragonfly is beautiful, it needs not much of modification. 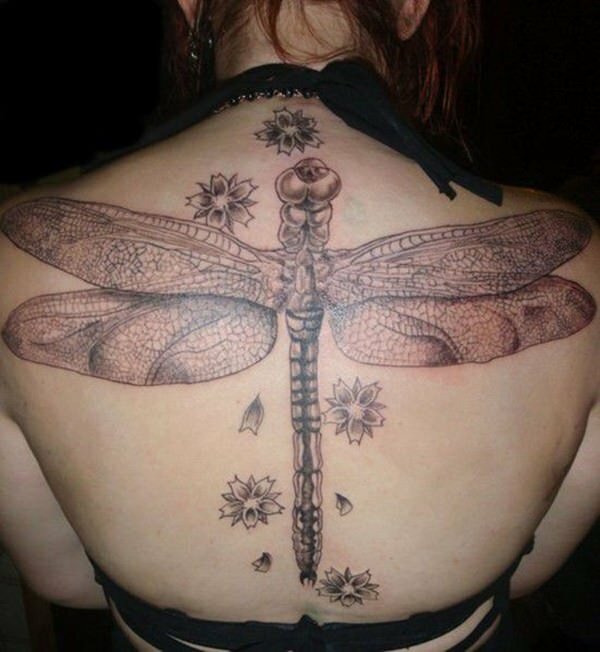 One can keep things natural when willing to tattoo dragonflies. The shiny wings can be received by getting some silver or white lines on the border of the wings. 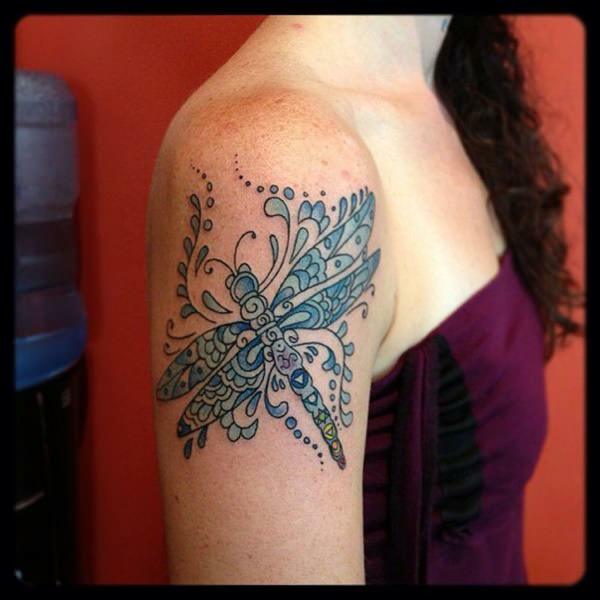 There is a vast meaning behind the dragonfly tattoo. The first and foremost is having independence. 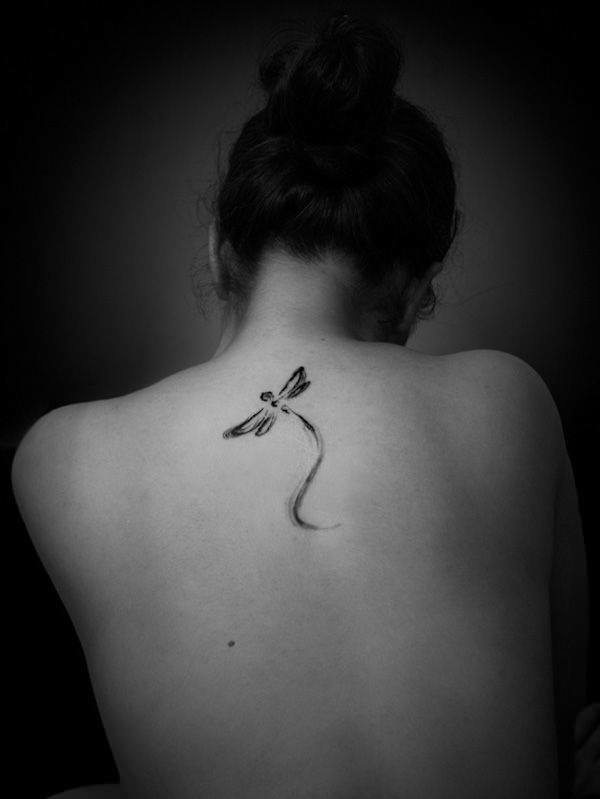 Just like a dragonfly is free to fly enormous distance at once with no burden, the one who wants to ink this also feels the same. The independence to fly in any direction and go anywhere, cross the sea and ocean, that is the beauty of a dragonfly. The other meanings are strength, purity, innocence, maturity, power, happiness, forgiveness, etc. The positive vibes of a dragonfly is spread to everyone who gets a look at it. It is believed that seeing a dragonfly makes your day brighter. Getting a sight of a dragonfly is supposed to heal all the pains. One becomes more happy and forget all the problems when a dragonfly crosses the path. The vibes of doing good multiplies and everything else is priceless. The luck that the dragonfly brings is again priceless. They are assumed to bring bad luck in some European folklore but in general that is not the case. They only bring smiles and are the reasons of happiness for everyone. 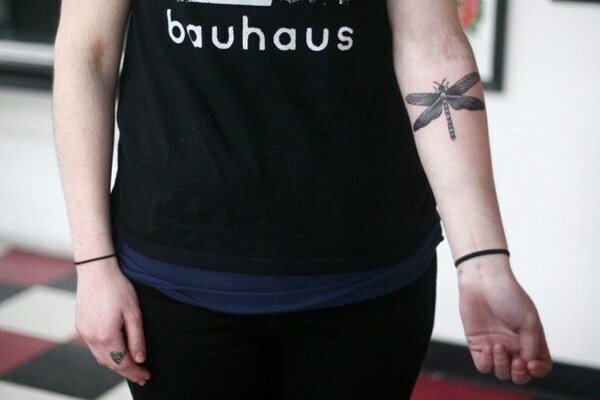 Getting a tattoo of a dragonfly will fill the holes of sadness with all the fortunes and good luck. 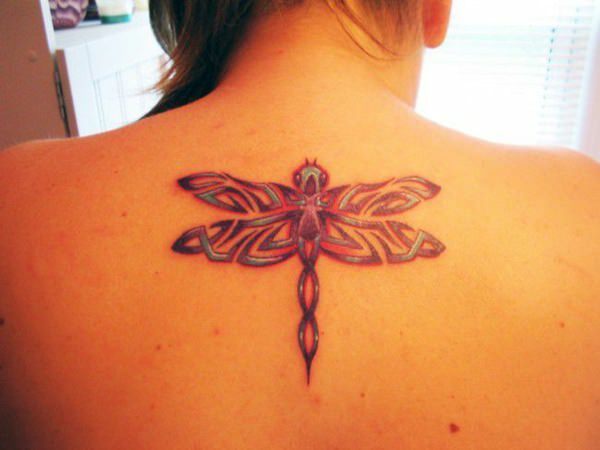 The sizes of dragonfly also determines the tattoo type. 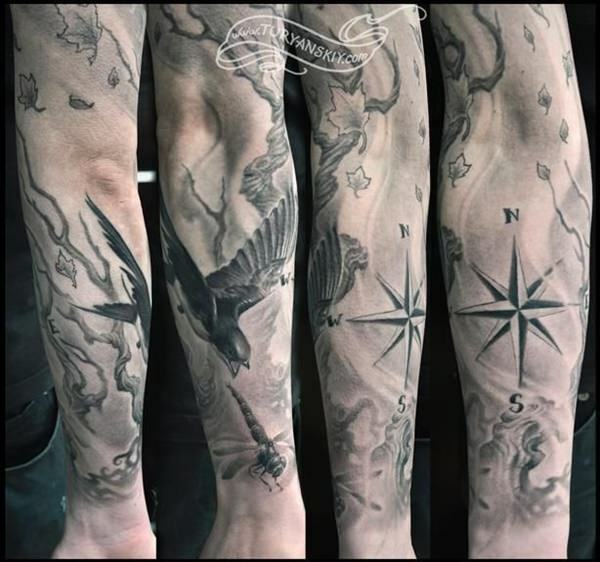 There are major three sizes of the tattoo, large, medium and small. The actual size of the dragonfly is small itself but, they are inked with the largest possible size to fill the space in the body sometimes. We can learn in detail about the size in the following categories. Small is actually the exact or actual size of the dragonfly. 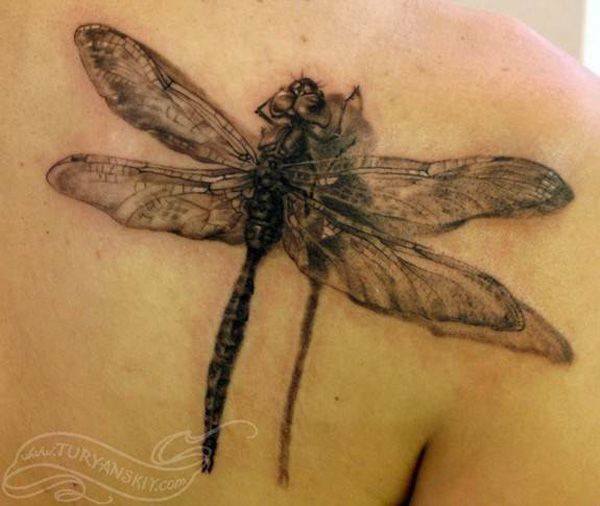 Most of the dragonfly tattoos are small in size because they can fit anywhere. The small size of the dragonfly help to seek the amazing attention of the people. When the tattoo like this is inked, the impact it creates is infinite. 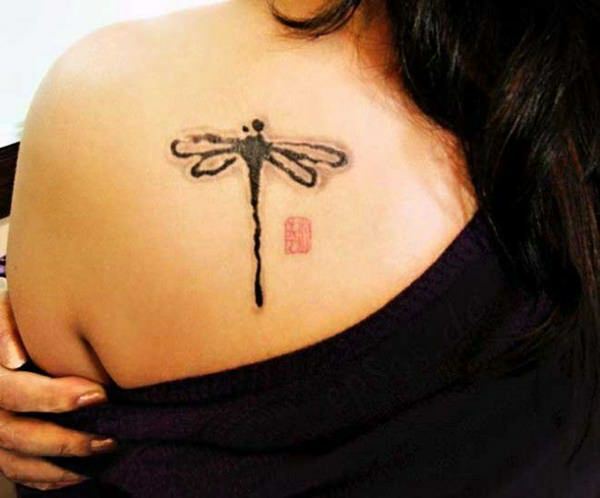 If you are looking for a petite tattoo, ink dragonfly tattoo on your body! 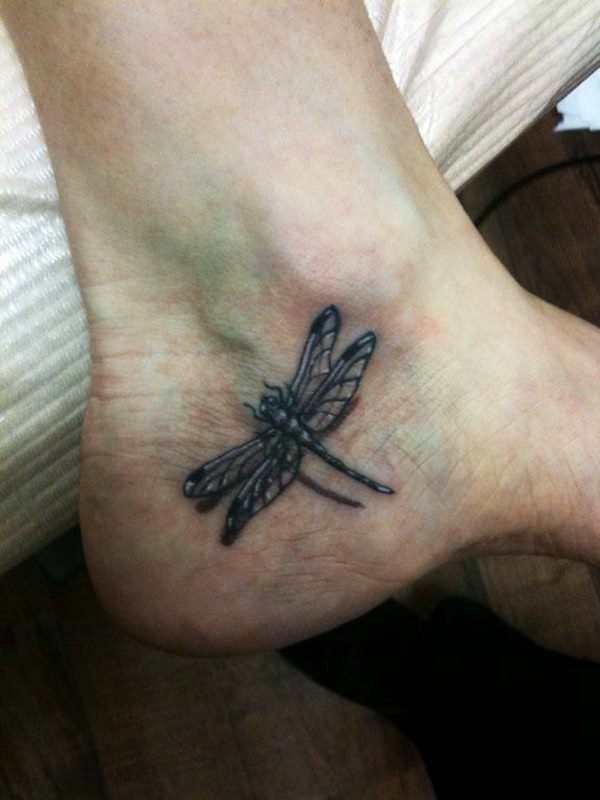 Medium dragonfly tattoos are the dragonflies that are a bit bigger than the actual size. With medium size, you can make it more visible than the petite size. It looks amazing in places like wrists, arms, backs, ankles, etc. 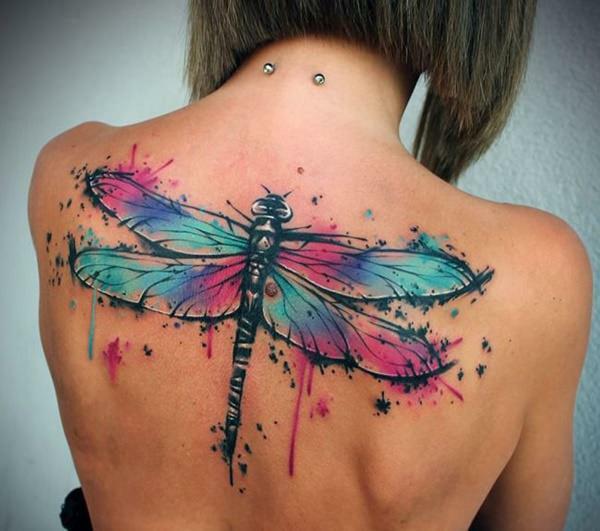 If the dragonfly is colorful with vibrant design, it will look more beautiful. Though the large or beast size of dragonfly is imaginary, but one can get the huge size of it. Specially in places like back, thighs, belly, arms, etc. This is done to create an ample impact of the dragonfly. In your imagination, it is not just a tiny insect but is as huge as a bird and you are free to redraw the size according to your choices. 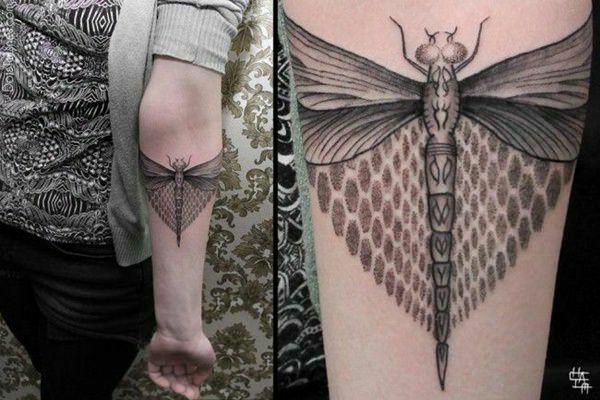 Dragonfly Tattoo in Different Body Parts! 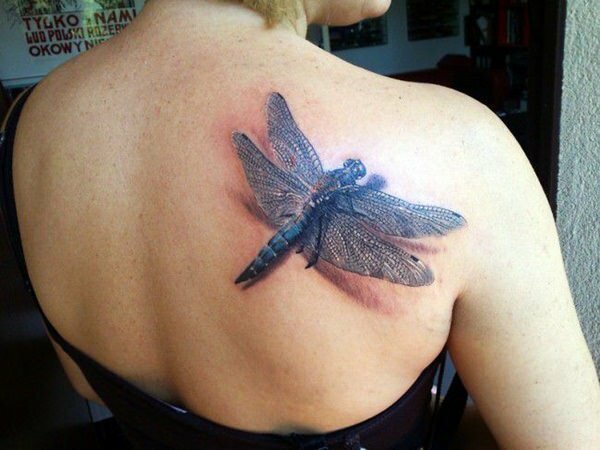 The body parts that are most suitable for dragonfly tattoos are below the ear, wrist, ankle, back, etc. 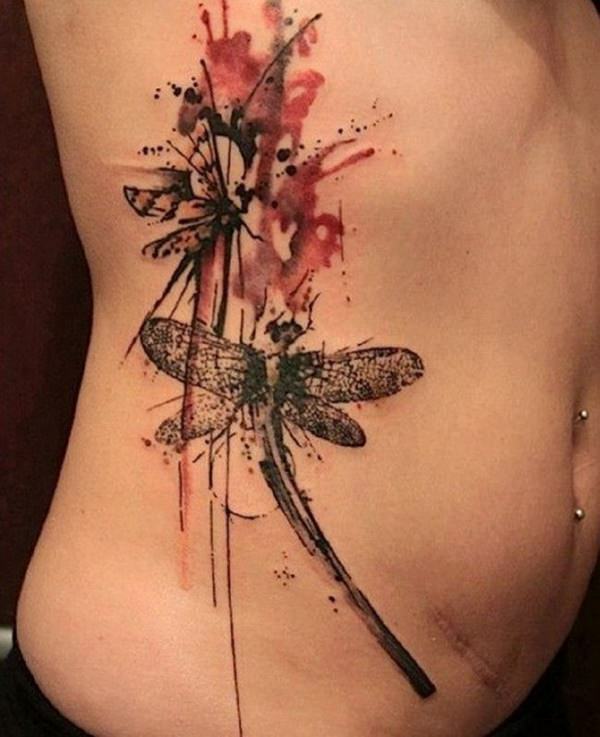 There are various images of dragonfly tattoos sorted according to the body parts, we can find them below! When we think of getting a tattoo done in back, we always assume a giant tattoo. So, even if naturally the dragonfly is tiny, one can modify and increase the scale such that the size becomes one like that of a huge bird. With it inked on back, the back looks sexier and more attractive. 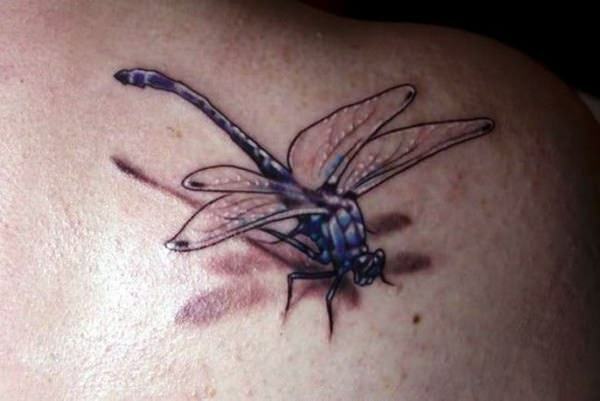 So, if you are wishing to get a dragonfly tattoo in your back, please don’t make it small, magnify it! Cover your entire back! Also See: 74 Magnificent Name Tattoo Ideas That Matches Your Personality! 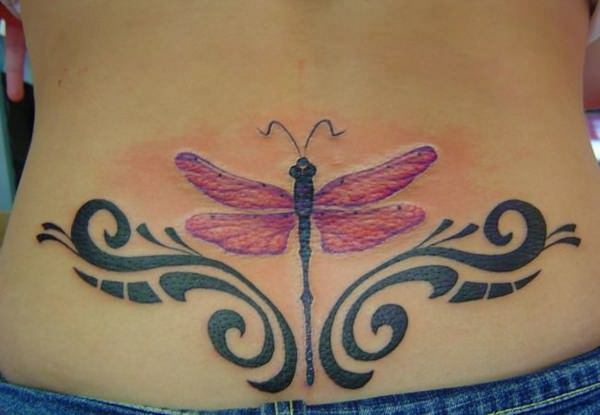 The dragonfly tattoo in waist regions looks attractive. Specially women can get it done here. This spot has some sexiness in it. 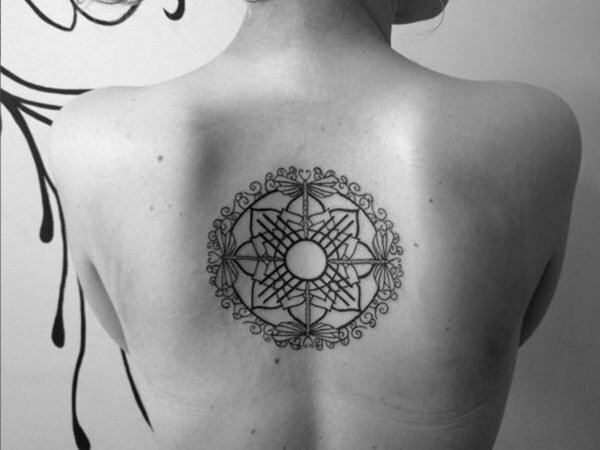 It automatically makes the tattoo perfect for the spot, and once it is done, the attractiveness increases to extreme level. 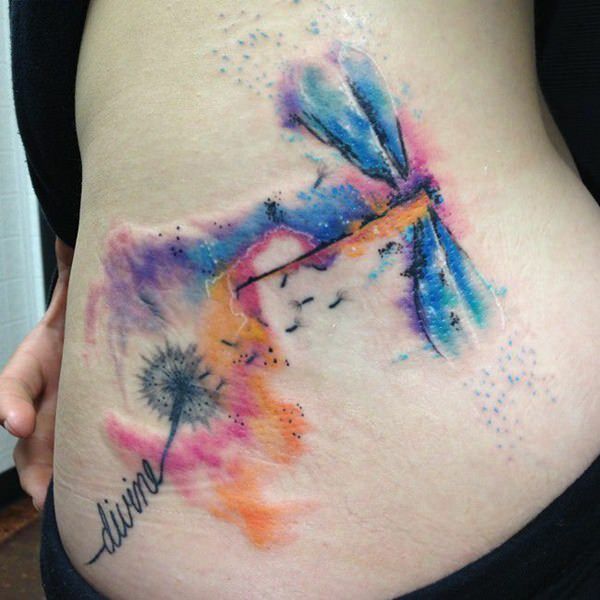 For waist region, colorful dragonfly tattoos would look pretty cool and beautiful. Arm is the most popular spot for any tattoo literally. 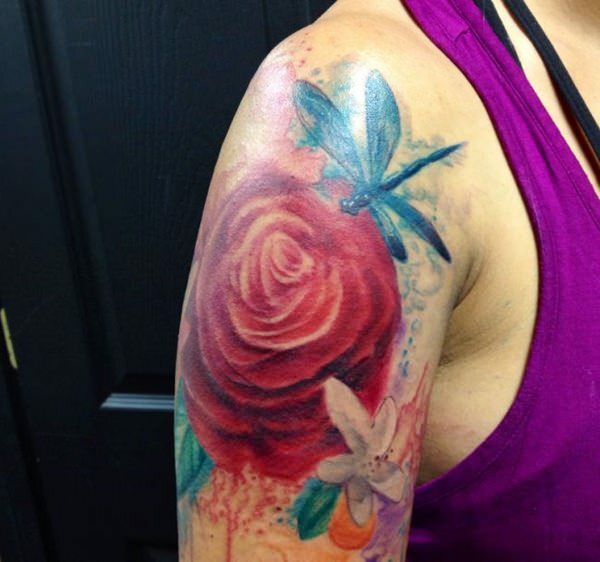 When you get a tattoo done in arm, you are able to view it anytime and admire your work. That’s why this has to be the most common spot for any kind of tattoos. If you target the upper half of arm, you can get bigger tattoos, but below elbow, only small tattoos look good. So, choose wisely. 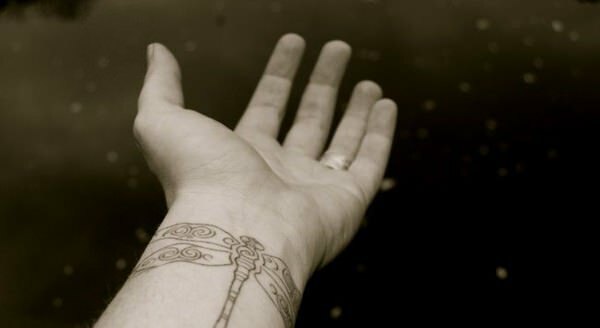 Wrists are popular place for getting tattoos inked. 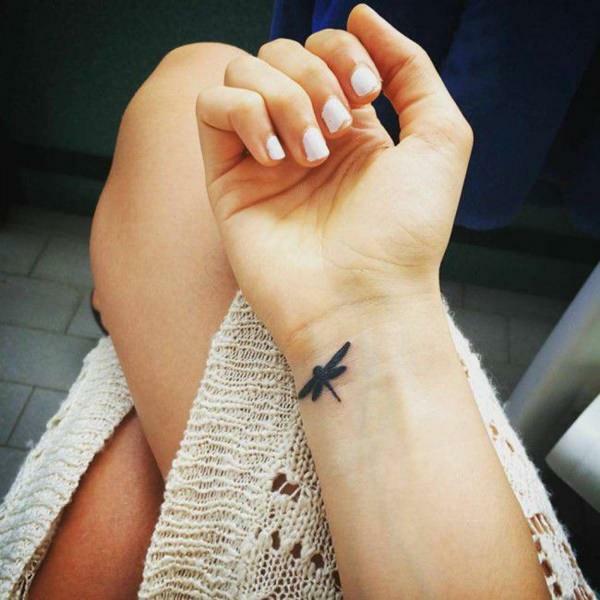 For small yet elegant tattoos like dragonfly, wrists are perfect. 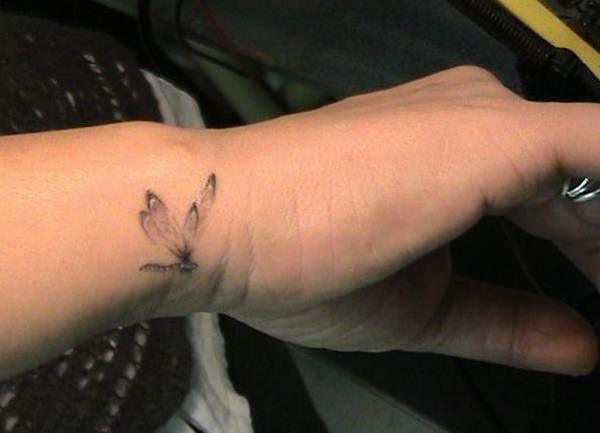 One should again think or plan of a tiny or medium size tattoo of dragonfly if one targets the wrist. Giant size would look boring and bad. 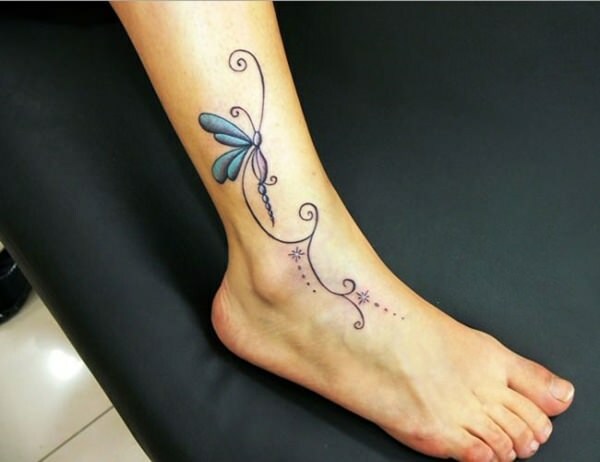 One rarely inks tattoos in foot. But even the tattoos in foot are special if some special reasons are associated along with it. 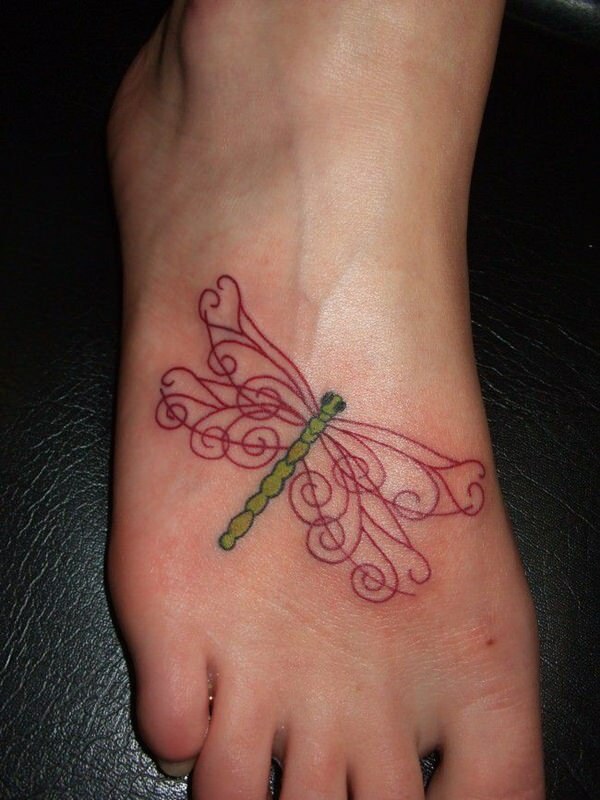 If you plan to get a dragonfly tattoo in your foot, plan a small design. 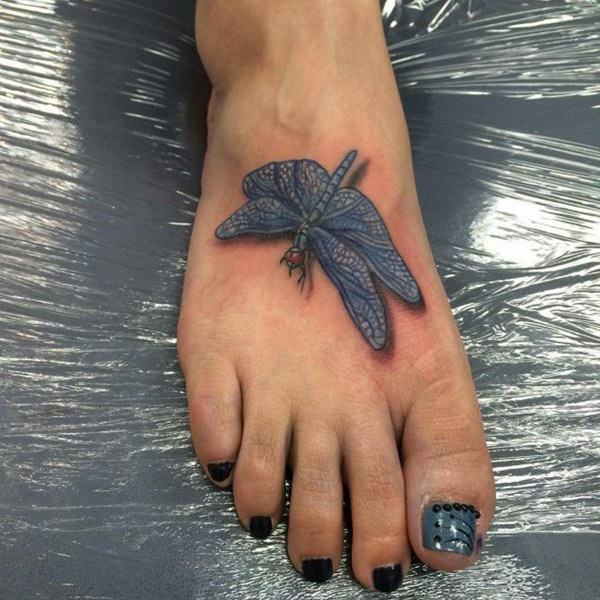 Because a giant dragonfly looks good in a large space, while foot is having only a small space. 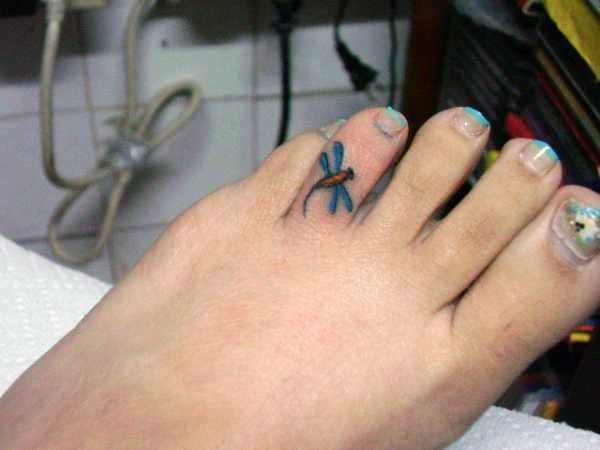 Toe is the perfect place for the tiniest of the dragonfly tattoos. Though it might not be visible every time but when you are barefoot or wearing sandals, this tattoo becomes eye catching. So, for getting a tiniest ones, one can choose the toe! Three dimensional tattoos are the latest trends. This includes illusions and stuffs. 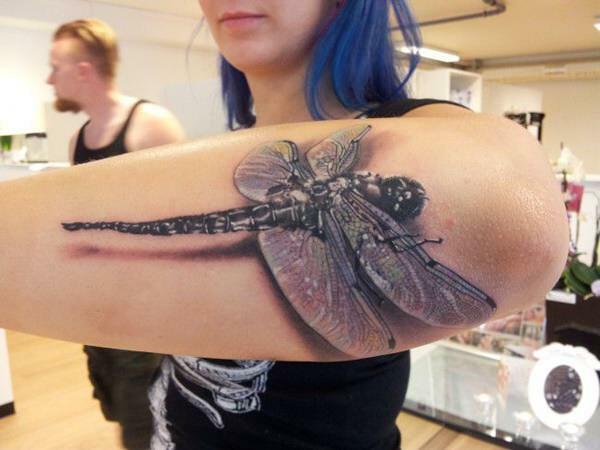 Specially when it comes to 3D tattoo of a dragonfly, mostly dragonfly in flight is inked. For that, adding shadows, shades, special darkness in some region will allow the 3D effect be seen. 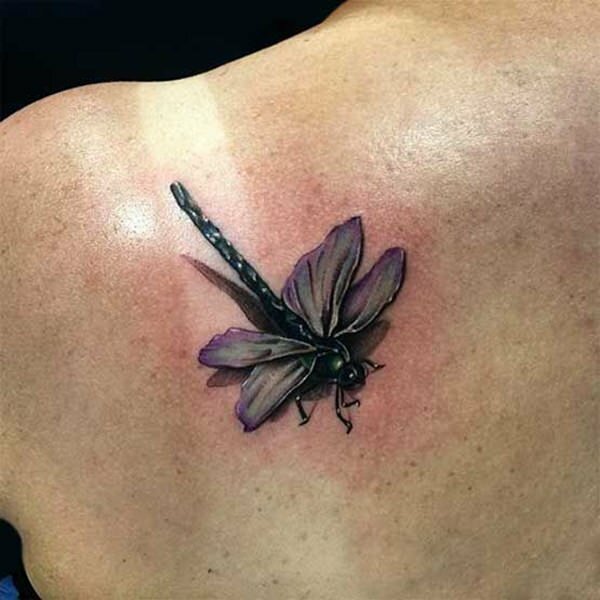 With 3D tattoo of a dragonfly, you will have the never lasting compliments from your family, friends, colleagues and everyone. 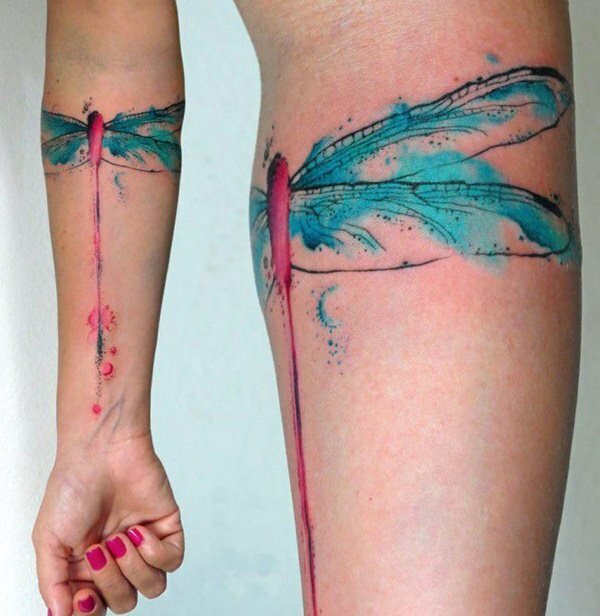 Abstract Print Ideas of Dragonfly Tattoos! When we talk about abstractness, it includes amazing print but unusual meaning. Mostly the meaning it unknown though it looks amazing. You can create your own abstract design by including various art forms along the varieties of dragon flies! Butterflies and dragonflies are a lot similar. The difference is , the fluttery wings of butterfly closes and flaps vertically while that of the dragonflies flutter and always is at horizontal position. Even during flight or rest, it is horizontal. 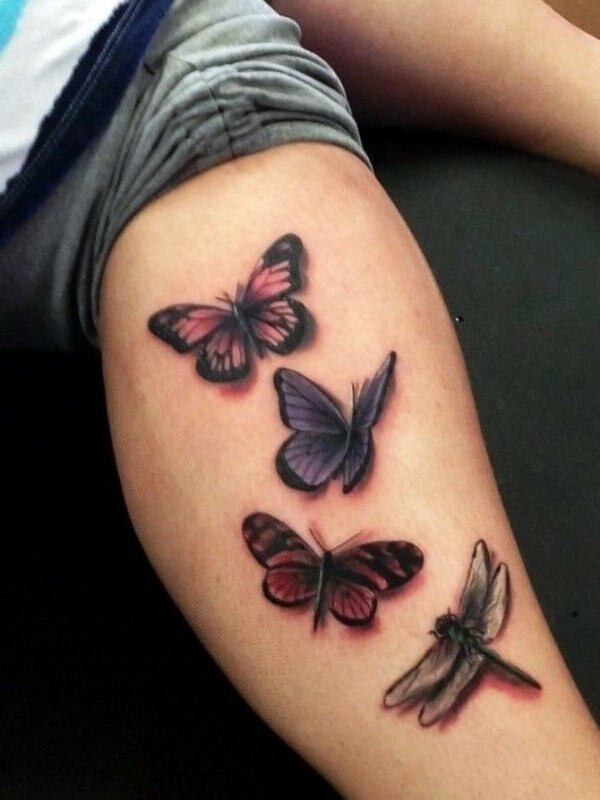 It can be a great combination if one likes to tattoo butterfly along with dragonfly. You can also try this as it gives amazing combo. 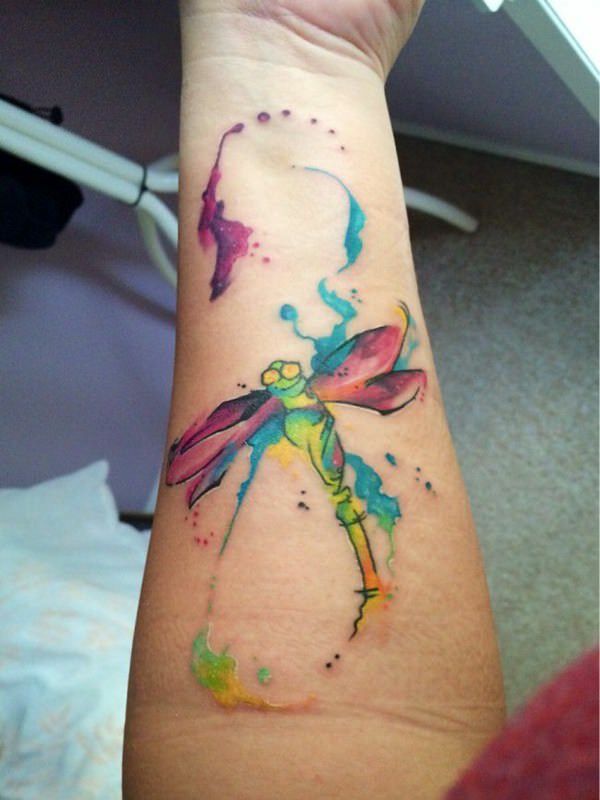 Because a beauty of a dragonfly relies in colors, which again shows just the external beauty. 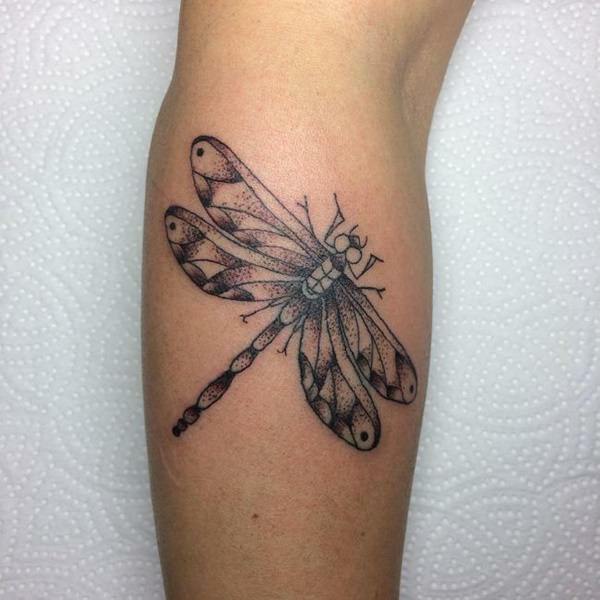 When a colorless dragonfly is tattooed, it resembles just the purity & strength, and all the internal beauty of it. This has a deeper meaning. It says, internal beauty is more important than the external beauty. External beauty fades away anyway, but what lasts forever is the internal one. 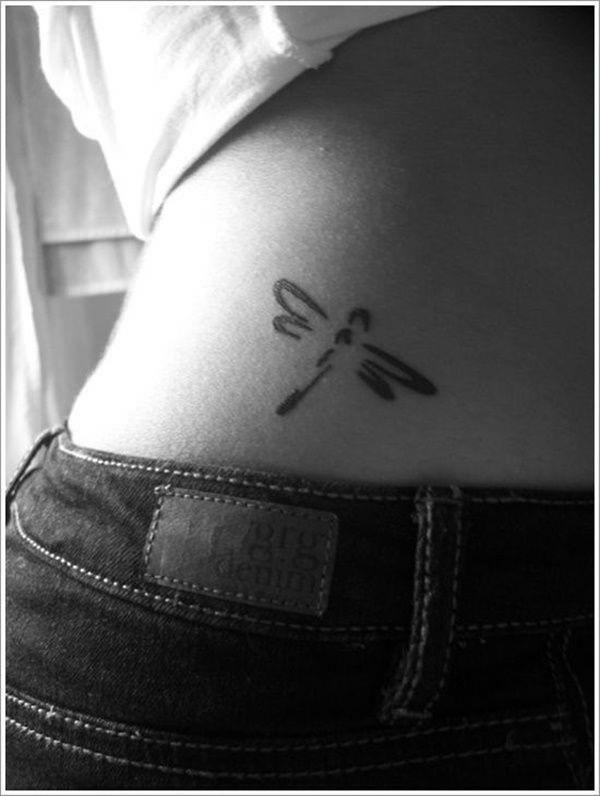 That’s why many people get the simple colorless dragonfly tattooed, specially men and adults. With color, every boring thing becomes beautiful! Therefore, adding colors to the dragonfly tattoo will make it look even better. Colors also add the sparkles, positive vibes and adds good memories to it. 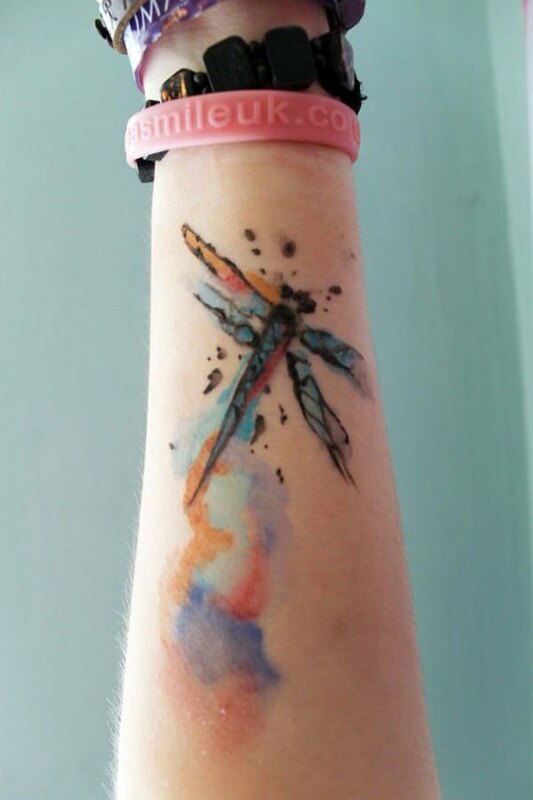 As a dragonfly is already having so many colors, which is what makes it beautiful, so getting the original tattoo of dragonfly will have colors already! The exotic, wild, vibrant and explosive nature is received with the colors. 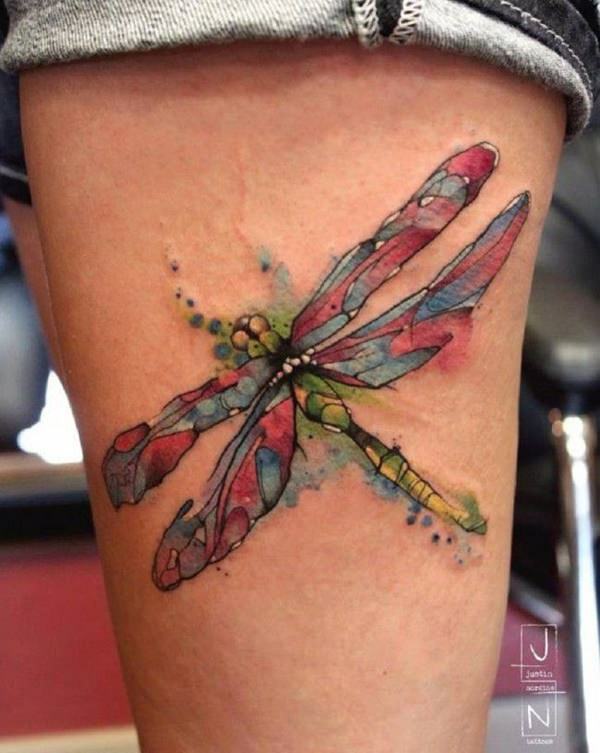 So, use wisely the colors in the dragonfly, that will also somehow reflect your personality! 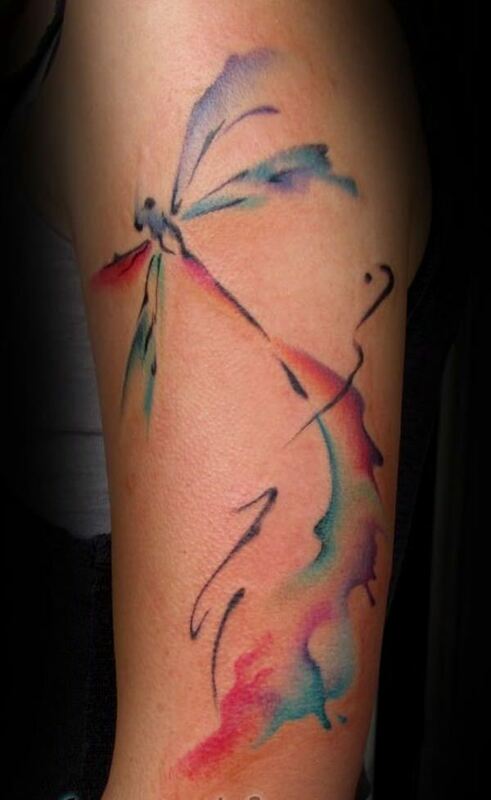 Therefore, with colorful wings, and entire fluttery fly, the tattoo looks more magical and alive. Add some colors, and let the magic begin. 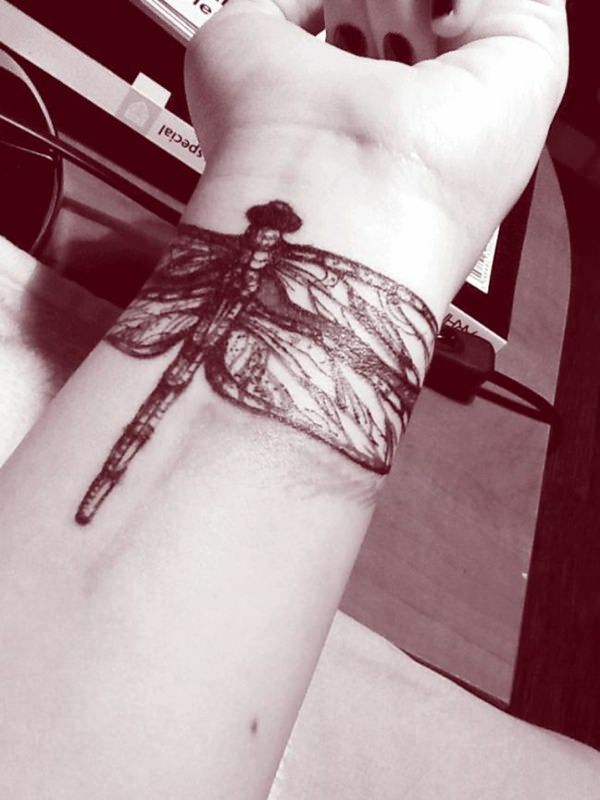 When you can always modify a dragonfly, why ink an ordinary one? Go creative and add up creative designs. With some specific details, it doesn’t even have to be colorful one. It will certainly look superb. The meaning is determined by the one who designs it. 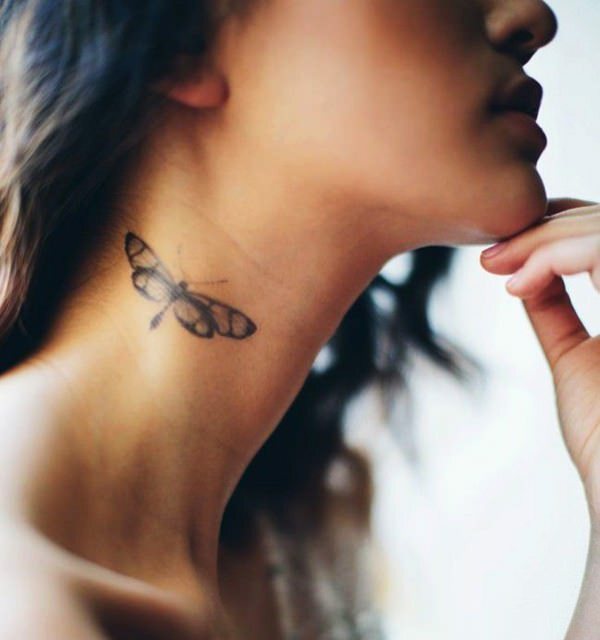 Sometimes the simple tattoo also symbolizes so much. 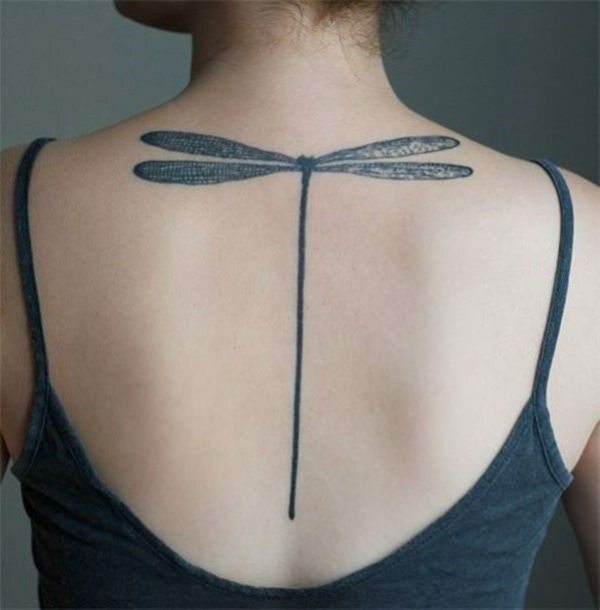 You can add up dragonfly to some other tattoos that hold greatest meanings. 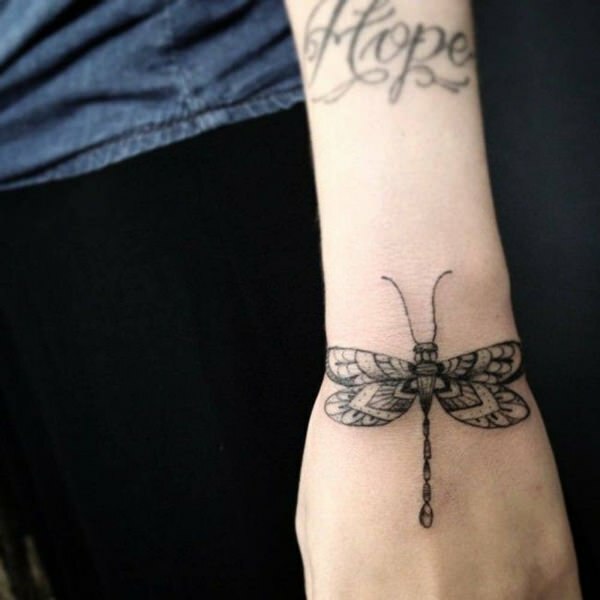 Even if you do not know what to add, you can get different meanings of small tattoos from the Internet which will again be your complete guide. Two is better than one, and multiple is better than two! 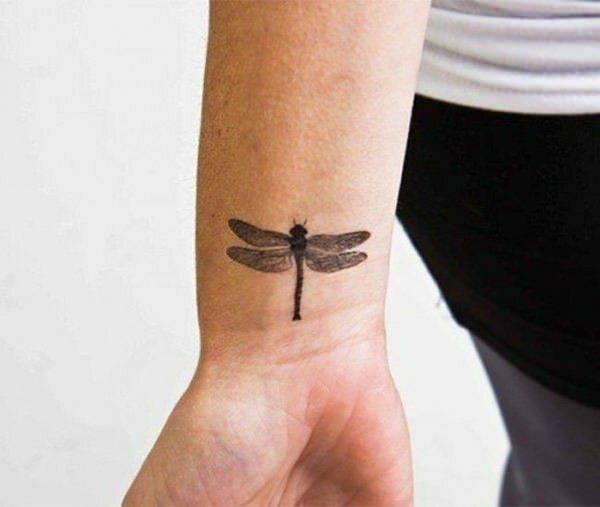 Why not create a lot of dragonfly tattoos instead of a solo. 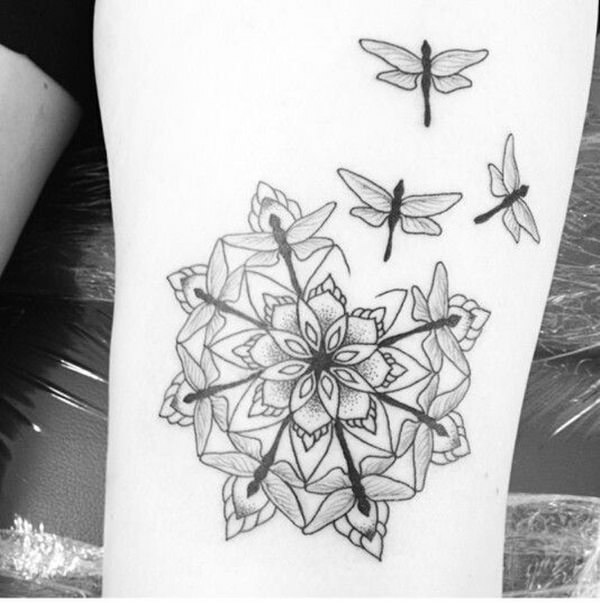 When you plan to get a huge tattoo, instead of getting a large dragonfly inked, you can draw several dragonflies instead. This looks amazing and gives the best outcome. The beauty of dragonflies lie along the flowers. They are hovering over the flowers all the time. Though they don’t much feed themselves with flower juice, but they look more beautiful when they are around or over the flowers. 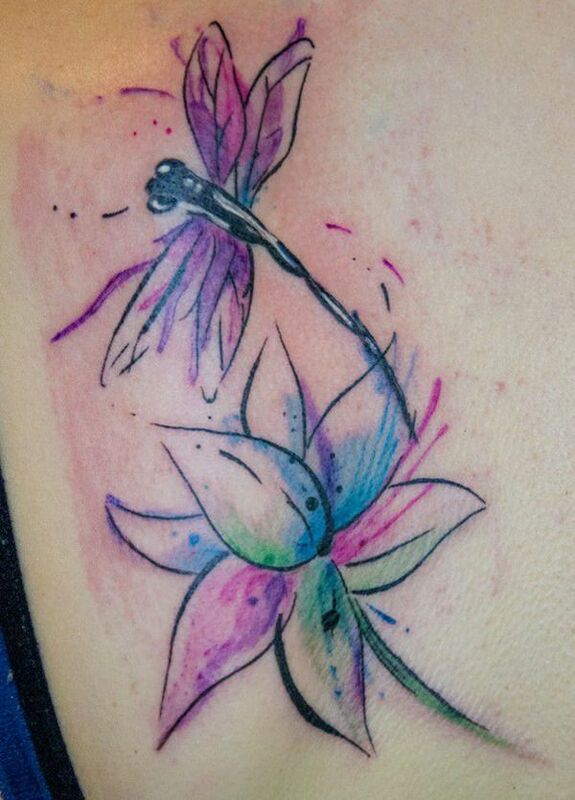 Just like flowers are made for dragonflies, you can add both in your tattoo. This will enhance the regular plane tattoo and increase its beauty with the beauty of flowers. The tattoo fails occur when the outcome or final tattoo doesn’t match the one that was designed initially. It also comes under fails when the final tattoo doesn’t suit you. 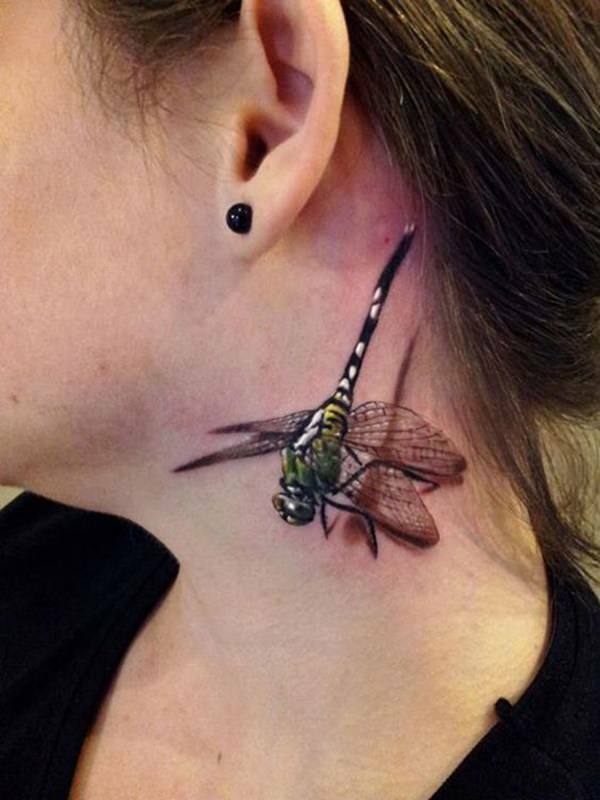 When does this happen in case of dragonfly tattoo? It happens when the tattoo is hug. 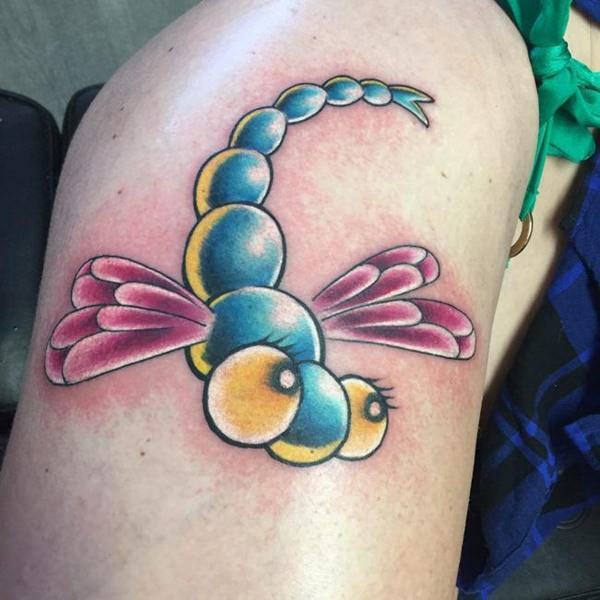 Not all the huge dragonfly tats are disgusting. But, some are purely disgusting. Therefore, before jumping into getting it done, first see the cons of it after it is inked. 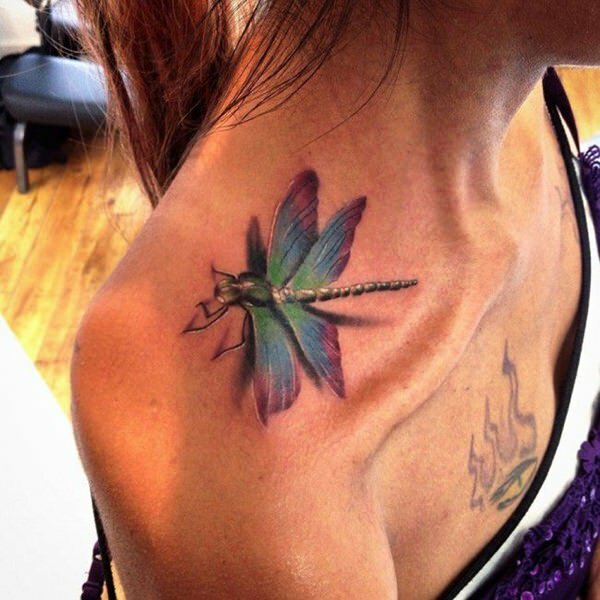 Image Gallery of Some Dragonfly Tattoo Ideas! Here are the best images of entire Internet that will blow your mind. Go through each of them and find out the best one for you. Just have patience and make it to the end of the page. If you like it, feel free to share it with a friend. In the image below, we can see how a simple dragonfly is modified wit varieties of patterns and doodles. Simple yet elegant is the final design. 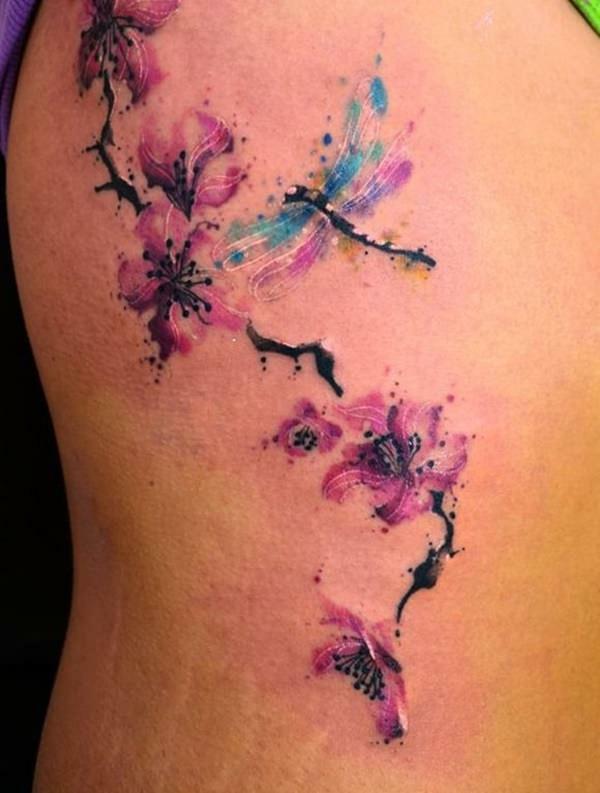 In this image, we can see how a tattoo without a border can also give such an amazing look. The adding of flower has made it more beautiful. A dragonfly in its flight is always beautiful to admire and look at. 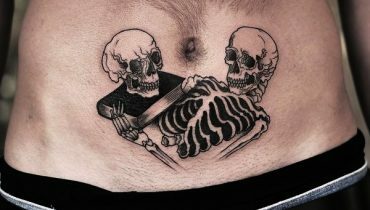 This tattoo designs modify amazingly. It looks more like a cosmetic or accessories rather than dragonfly. This kind of designs deserves more popularity and fame. For such modifications, a lot of plans are necessary before getting a final draft. Now here we can see another amazing modification to a dragonfly. The way it looks classic with the basic black outlines is amazing. The net like structure below it makes it more elegant. 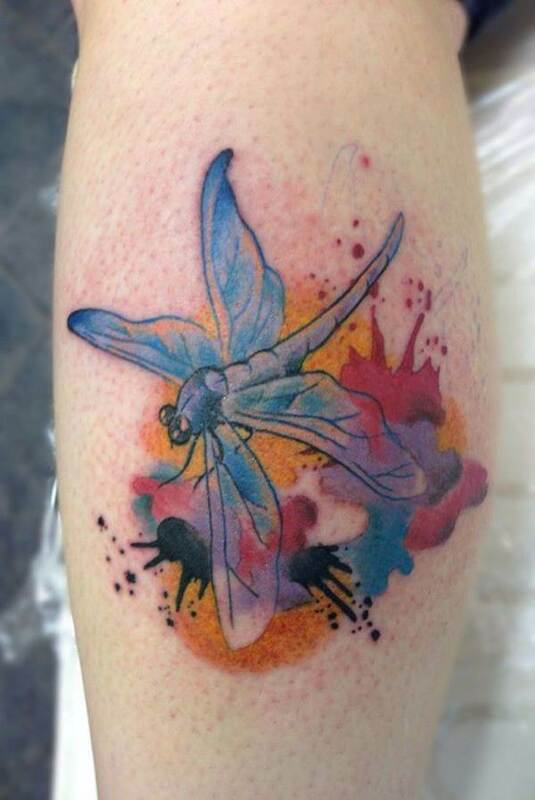 The fluttery wings spreads well and this insect looks more like a classic diva in this tattoo frame. 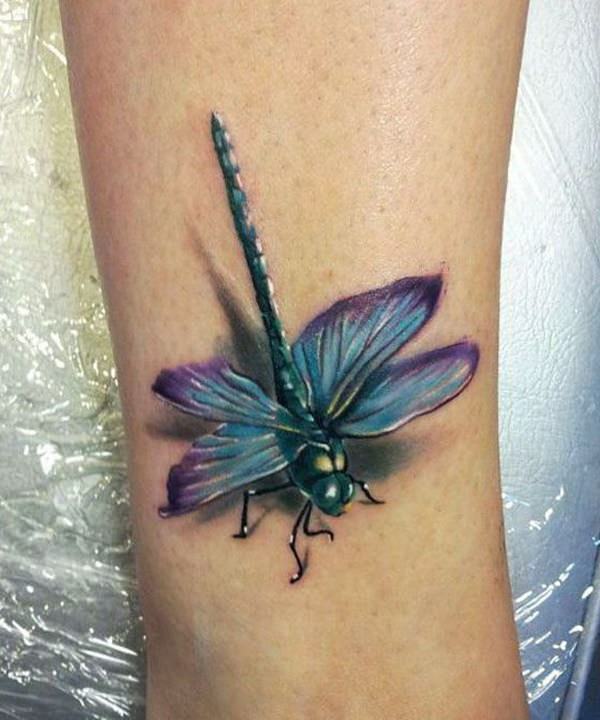 This individual tattoo of a three dimensional dragonfly looks cool. Though the size is weirdly huge, but it still fits perfectly not giving any complain about the area it has occupied. 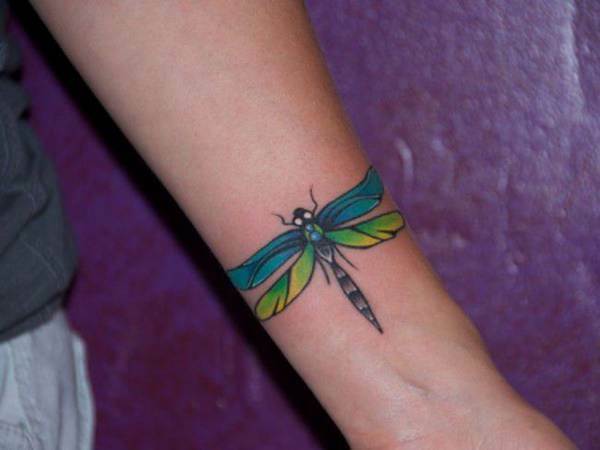 Plus, with such a cool dragonfly tattoo, one looks so cool automatically! 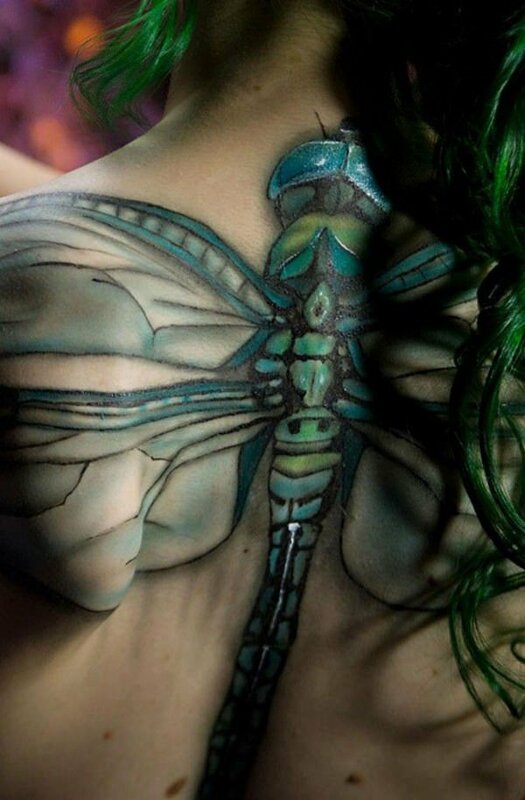 This has to be the best dragonfly tattoo in entire page. In this image, we can see the cartoonist version of a dragonfly. It is not desirable all the time, but if you want something like this, do not hesitate to ink it. It doesn’t have to be someone else’s choice, but solely yours. Covering the entire back with the dragonflies! This looks like a track for the dragonflies to fly. It creates an amazing look in the back. 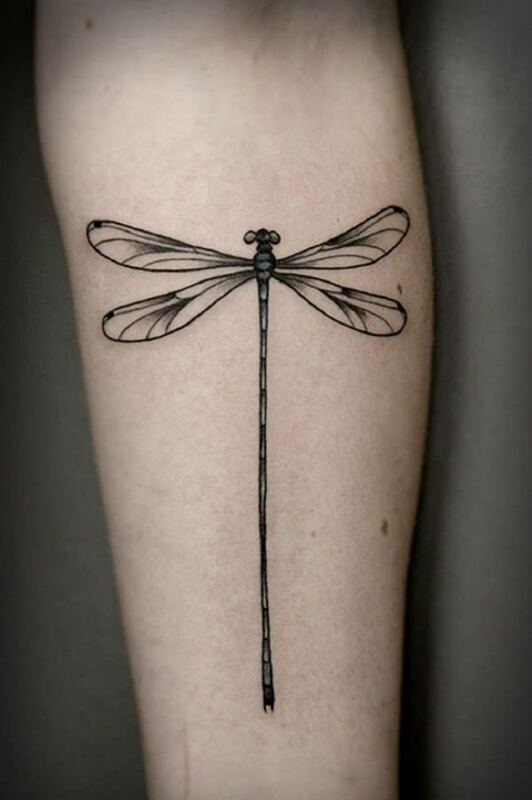 One can get a dragonfly tattoo like this. 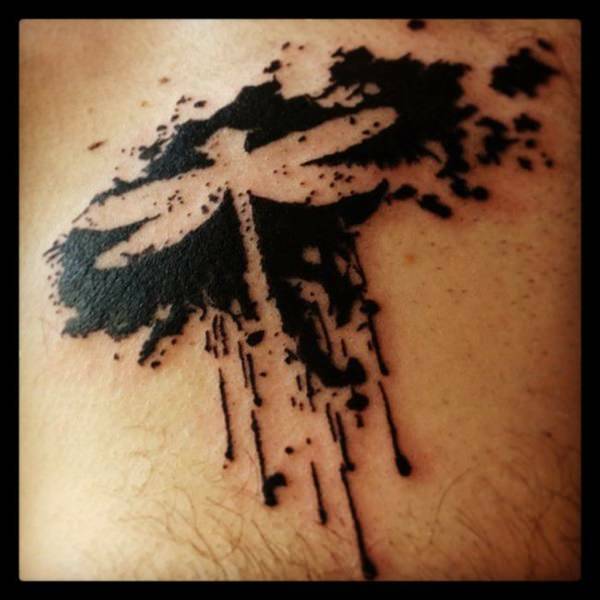 The number of images in this page already gives a lot of variety of the dragonfly tattoo ideas. This has plenty of sub topics with varieties of categories that can be somehow favorable for everyone. You can choose anyone as per your choice and ink the tattoo. Don’t think too much if you think you have already found one. Though having second thoughts to it is normal! If you made it to the end of the page, that means you have already found of type for yourself. And, if not, you can revisit the page and start from the top to find one for you. Also, if not from here solely, you can get a partial idea from here and some of the self modifications will not matter. 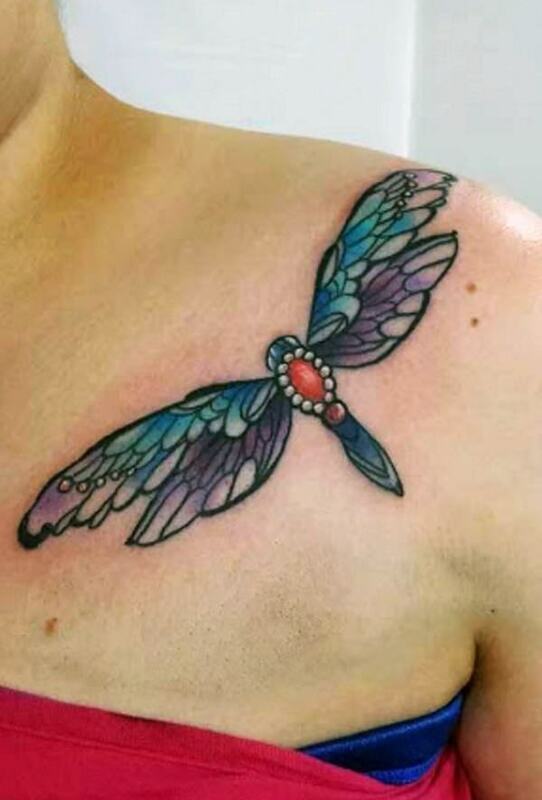 At last, if you get something different of a dragonfly art as a tattoo idea, you can always feel free to share it with us and help out others to get the inspiration fro themselves.